Thought I’d best explain a little as to why the next part of Weirdzville isn’t ready yet. A very sudden death in the family left us all a bit stunned, to say the least, so everything else has kinda gone on the back burner. 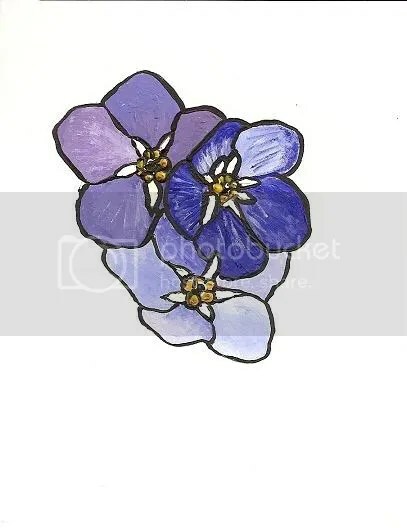 I was asked to do something for the programme for the service, so I opted to paint forget-me-nots, because when it comes to someone I care about passing away that’s the first kind of flower that comes to mind. I’ve Got My Eye On You………. Ask A Ninja You Got Questions, Ninja Got Answers.